The British Virgin Islands are is a well-loved, bucket list sailing destination known for its welcoming islands, Caribbean atmosphere and wonderful lobster. Every year at the end of November, thousands head to the island of Anegada in the for the Anegada Lobster Festival. This colorful festival is now in its fifth year and was created to encourage gastronomy fans from around the world to visit the BVI and experience its delicious cuisine. The festival offers the chance to sample the best cooked lobster in the world, where chefs from the island’s restaurants create tastebud tantalising treats. The event atmosphere that accompanies the food is one of the festival’s main highlights with many live bands and DJs. 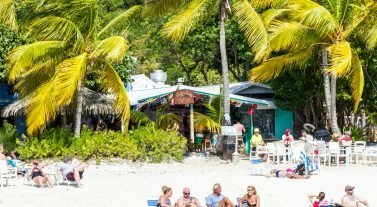 Located on the pearly white sandy beach next to adorable little cottages is the Big Bamboo, a bar and restaurant situated at the centre of Loblolly Bay. The restaurant promises the ‘sweetest lobster’ in all the islands, a bold statement for any restaurant in the Caribbean. Choose from lobster, conch, chicken, ribs or steak and enjoy the relaxed atmosphere that Loblolly Bay brings. 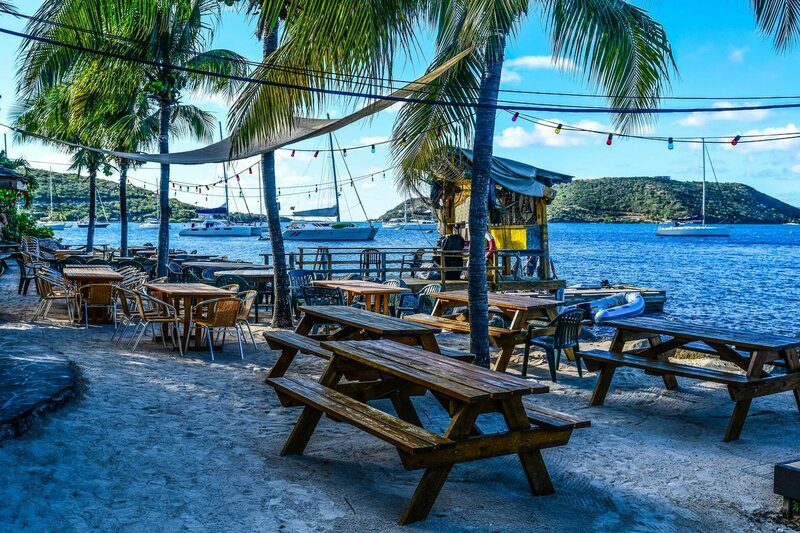 Down by the water’s edge on the northern part of Tortola, head to D’Coal Pot for a true taste of the Caribbean. This family-run restaurant serves up some excellent flavors, from locally caught conch fritters to lobster specials with ice cream! Prices here are relatively low with an average meal costing around $23USD. Head over to White Bay on Jost Van Dyke and pay a visit to Hendo’s Hideout. This quirky bar and restaurant sit right on the shoreline looking out to the turquoise water and are creators of the ‘Delirious Donkey’, the bar’s signature cocktail. While there, try some of the Caribbean dishes, each with an American twist including rum and coke pulled pork and lamb lollipops. One of Virgin Gorda’s finest restaurants, Leverick Bay is a chic establishment sitting on the white sands looking out over the ocean. Dine alfresco under the sunset and choose from a range of dishes, including freshly caught Anegada lobster to the finest cuts of delicious steak at the fine dining restaurant, enjoy a rum punch at the beach bar or enjoy a laid-back lunch in the cove bar at this friendly establishment. For a real Caribbean lobster, head straight for Anegada and visit the Lobster Trap. Choose your lobster straight from the trap and the chef will cook it to your liking before serving it to you while you relax on the shoreline. Other options are available for those who aren’t fans of their signature dish, including pasta, steaks and other seafood options. The BVIs have so much to offer and are the perfect place to enjoy a bareboat or by the cabin yacht charter. As well as fabulous festivals and mouth-watering cuisine, there is a whole range of great things to see and do. Take a look at our article about the best places to visit in the British Virgin Islands. Come and discover the BVIs with us, request a quick quote, email us at infona@dreamyachtcharter.com or give us a call at 855.650.8902.